A carefully curated 62-lot boutique selection of autographed photos, posters and poster cards is offered in Jasper52’s September 11 Signed Celebrity Memorabilia Auction. All items are guaranteed authentic, and most have no reserve, meaning they will sell to the highest bidder regardless of the amount of the bid. 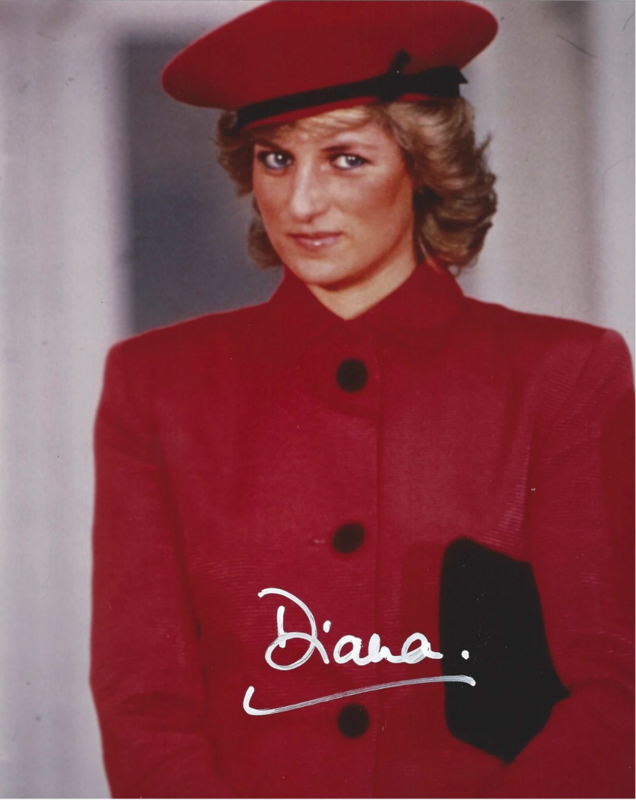 This poster depicts the beloved British Royal Family member in a cherry-red coat with matching beret. Measuring 8 by 9.75 inches, it is clearly signed “Diana.” Still missed and admired 19 years after her untimely death on Aug. 31, 1997, Diana is one of the most collected of all public figures of the 20th century. 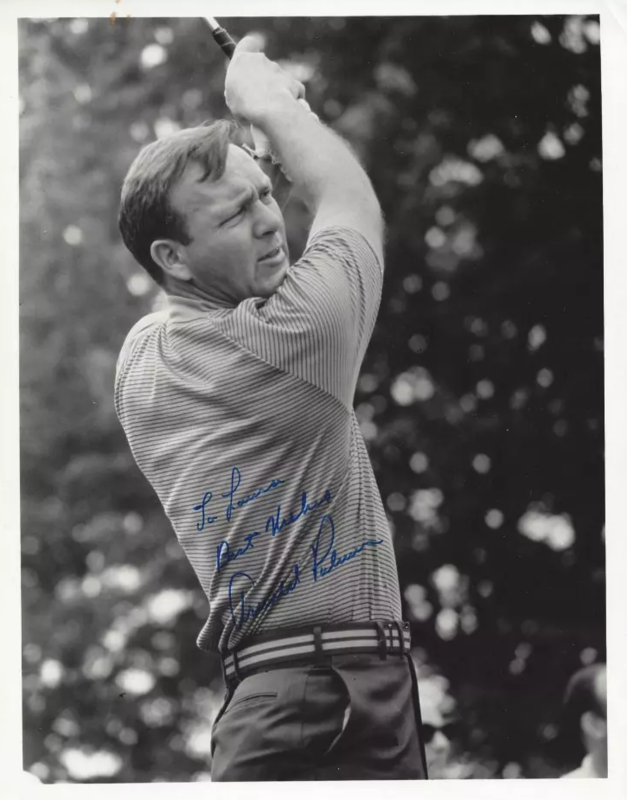 In the world of golf, Arnold Palmer is known as “The King.” With 62 lifetime PGA Tour wins, four Green Jackets for winning the Masters Tournament, and additional big wins at the U.S. Open and other important events, Palmer is a superstar idolized by golfers everywhere. By the time she became the iconic Morticia Addams on television’s popular 1960s series The Addams Family, Carolyn Jones was already a respected and well-established actress with an Oscar nomination to her credit. Jones was so admired for her adept interpretation of the Morticia character, she was awarded a coveted Golden Globe. 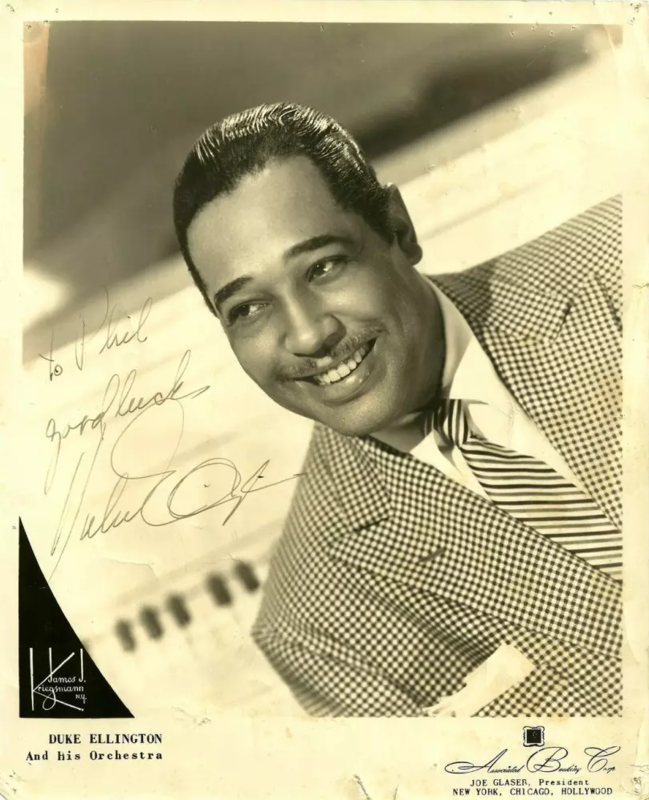 Duke Ellington enjoyed a more than 50-year career as a jazz composer, pianist and bandleader. He was also greatly admired for his sartorial style, whether onstage or off. This is signed poster of Ellington wearing a dapper houndstooth checked jacket and diagonally striped necktie. Read more information about this auction on Auction Central News. View the full catalog and register to bid on Jasper52.